UNPRECEDENTED demand for the latest version of the Nissan LEAF electric vehicle (EV) has seen pre-orders hit the 3,000 mark, a month after the new model was unveiled at CES in Las Vegas. The new Nissan LEAF e+ 3.ZERO Limited Edition, which is fitted with a 62kWh battery, has proven to be a very attractive proposition on the continent. Pre-orders of the new model currently total more than 3,000, which puts the Nissan LEAF in prime position to achieve record sales once again in 2019 after a very successful 2018. Norway is currently leading the charge with pre-orders reaching almost half of the 3,000 units. LEAF was the top-selling car overall in Norway in 2018. Motorists looking for a more eco-friendly and uncompromised driving experience continue to be drawn by the car’s all-round capability. The Nissan LEAF e+ 3.ZERO Limited Edition has a power output of 160 kWh (217 PS), and an expected range of up to 239 miles** on a single charge. Also unveiled to much acclaim at CES, the Nissan LEAF 3.ZERO with a 40 kWh battery is available to order now. 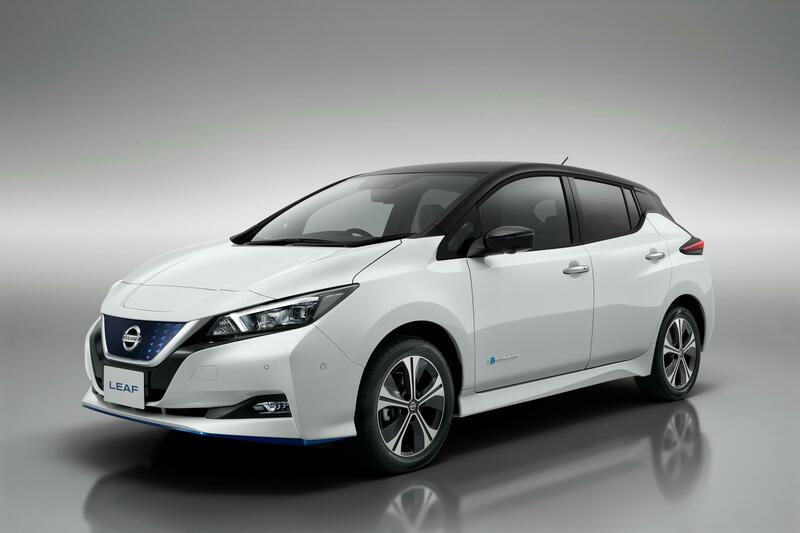 Based on the award-winning Nissan LEAF 40 kWh, the Nissan LEAF 3.ZERO adds a number of personalisation options including new colours and a contrasting roof, adding appeal for EV customers looking for a car with real visual presence. Ken Ramirez, Senior Vice President, Sales and Marketing, Nissan Europe said: “The overwhelmingly positive response to the Nissan LEAF e+ 3.ZERO Limited Edition shows just how appealing it is to own a Nissan EV. It’s no wonder the Nissan LEAF is the best-selling EV in Europe and the number one selling car overall in Norway. Along with a generous standard specification and new NissanConnect infotainment system, the new LEAF 3.ZERO models both feature e-Pedal and ProPILOT. These widely acclaimed Intelligent Driving technologies are transforming the driving experience. The e-Pedal is a new driving experience for many, allowing the driver to start, accelerate, decelerate and stop using only the accelerator pedal.This delivers a seamless, smooth drive and maximum control to the driver through enhanced pedal feedback. The consistent high demand for the Nissan LEAF secured its crown as the best-selling EV overall in Europe for 2018, with more than 40,000* sold across the continent. In addition, the Nissan LEAF remains the world’s best-selling EV, with more than 380,000 units sold globally since the original car launched in 2010.